Mr. Larry Goodman (center) with students from Glenbard West High School’s Students for Students program. (Springfield, IL) – August 31, 2011. The Cebrin Goodman Center, an affiliate of the Lillian and Larry Goodman Foundations, granted 30 conference scholarships to prevention and treatment professionals throughout Illinois for the 2011 Illinois Alcoholism Drug Dependence Association (IADDA) conference. Scholarships were awarded to addiction prevention and treatment professionals with preference given to prevention providers, geographic diversity, and financial need. Scholarships cover full conference registration and hotel accommodations at the Hilton Lisle/Naperville. 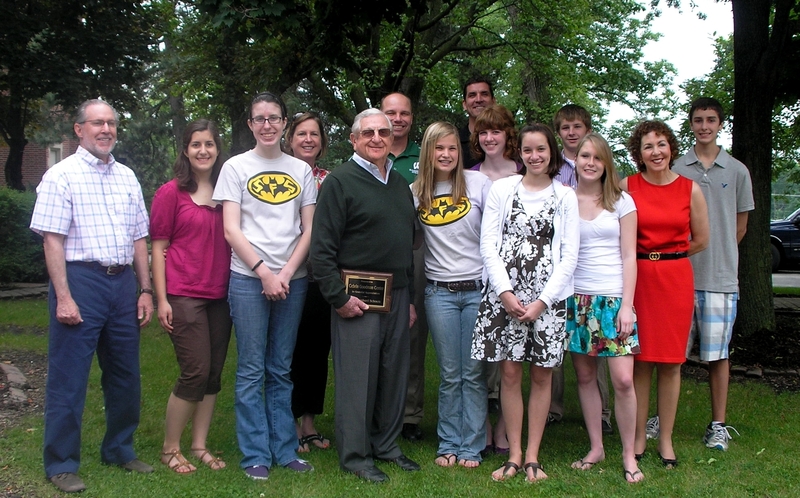 Established in 2007, the Cebrin Goodman Center, located in Skokie, Illinois, is committed to helping young people fulfill their potential as happy, healthy contributing members of society. The often tragic consequences of drug use, abuse, and addiction are a powerful threat to the realization of that goal, according to the Center. Effective prevention efforts are crucial if we hope to shield future generations from the false promises of the drug experience and the unfortunate paths far too many have chosen. The Cebrin Goodman Center supports ongoing partnerships with organizations whose expertise, vision, and passion uniquely position them to help young people develop the strengths to resist the formidable lure of drugs. The IADDA conference, Designing the Future is scheduled for September 7–9 at the Hilton Lisle/Naperville. 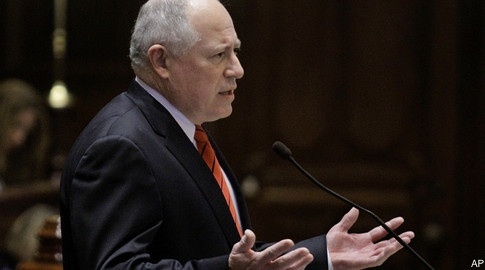 (Springfield, IL) – Governor Pat Quinn last week signed legislation that will ensure that all health insurance policies sold in Illinois will cover substance abuse treatment, mental health care and other disorders without gouging consumers for this type of insurance coverage, heartening parity supporters. The legislation, House Bill 1530, sponsored by State Rep. Lou Lang (D-Skokie) and State Senator Willie Delgado (D-Chicago), prevents insurers from imposing additional barriers within the policy – such as financial requirements, treatment limitations, lifetime limits or annual limits – to treatments for mental, emotional, nervous and substance abuse disorders if no such stipulations exist for other health conditions. “This landmark legislation will ensure that those who purchase health insurance in our state will now be able to seek medical attention for mental, emotional, and substance abuse treatment without having to pay for it out of pocket,” stated Delgado (D-Chicago), Chairman of the Senate Public Health Committee, the chief sponsor of the measure in the Senate. Additionally, the bill prohibits insurance companies from charging exorbitant fees for these services or requiring consumers to pay a separate fee for the coverage of these services, according to Delgado. “This legislation is an important step toward bringing health insurance parity to addiction health care,” said Lang. The new Illinois new law exceeds the requirements of the recently-enacted federal mental health parity law, according to Lang.